Ben Askren has many names on his UFC opponent wish list, one that will never be on there is current UFC welterweight champion Tyron Woodley. Askren and Woodley were college teammates at the University of Missouri and are currently training and cornering for one another. In the meantime, the former Bellator and ONE welterweight champion has called out names such as Khabib Nurmagomedov and Georges St-Pierre. “I think there’s a lot of scenarios in which I get to prove how good I am, and we don’t fight,” Askren said of ways he and Woodley can dominate the UFC without ever standing toe-to-toe. “They could create the 165, 175 [divisions]. I think that’s a possibility. It’s almost like the UFC is pushing back a little bit despite how much all the fighters realize it would be beneficial to us. If it were up to the fighters, they’d probably create that division tomorrow, right? While Askren waits for new weights, he will most likely have to face top contenders in the division, one of which being Colby Covington, who Askren does not think highly of. 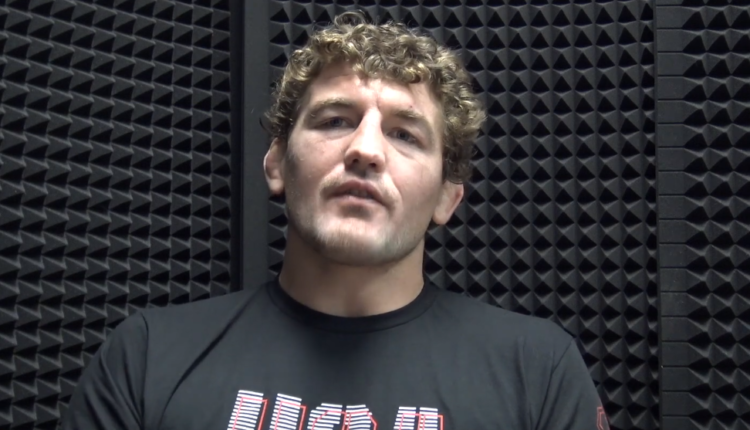 “My objection is he’s a moron,” Askren said of Covington. Askren claims he is in the UFC to prove himself and is not looking to duck any challenge en-route to show that he is in an elite class of fighter. “We didn’t know [before],” Askren said. “We don’t know if I was as good as I say I am. Nobody knows. We haven’t seen it. Everybody wants a finality, everyone wants closure and we didn’t have closure on this. And now we’re gonna get closure. 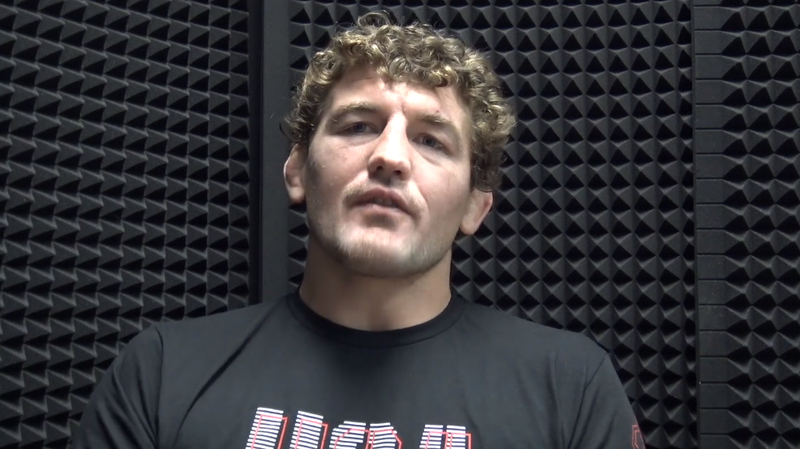 Askren, who has taken nearly a decade to get into the UFC, would coincidentally focus on putting a “time limit” on success in his latest “Mental Mondays” video for the Rudis wrestling-ware brand.